RATHER THAN STRICTLY DEFENDING OR denouncing propagandistic elements of art, Burke, as always, seemed inclined to break through antithetical opposites with a third option. He believed that art didn’t have to be purely aesthetic, “art for art’s sake” and it didn’t have to be “a class weapon”; art could be “a learning tool” that could “effect change in the attitudes of the masses” (Weiser 13). As usual, Burke refuses to make a definite statement condemning or extolling propagandistic art. Instead, he describes propaganda as an essential component of art itself, contrasts different styles of propaganda and different objects of propaganda. While we may be hesitant to use the term “propaganda” to describe a piece of art, Burke used the term in a non-pejorative sense—propaganda can describe art that recognizes the capacity to be both influenced by and be an influence on audience’s attitudes and beliefs. But while propagandistic art could be a powerful force for good, it had to be based on a sound moral philosophy and employ a style that treats its audience as people, not pawns. Propagandistic art could be as terrible as Mein Kampf, as Burke describes in “The Rhetoric of Hitler’s Battle,” or it would be as constructive as the radio plays and novels he reviews in “War and Cultural Life”; much depends on the purpose and style of the piece. In the end, Burke is less than perspicuous on the topic, but in his ambiguities, he provides rhetoricians with a sophisticated understanding of how art and propaganda are related, as well of the ethical standards to guide writers in forming moral propagandistic art. What is Art’s Relationship with Propaganda? When is art propaganda? In a sense, Burke might say, all art contains an element of propaganda. In 1933, aesthete Allen Tate wrote a scathing article condemning artists who abandon the universal in order to pursue political aims and Tate singled out Burke as a prime example (George and Selzer 1930s 96-97). With writers like Burke focusing on the political capacity of literature, Tate wondered what became of art’s universality, its craft, its soul? Tate argued that what was best about art was the way it resisted the moment in which it was created, participating instead in something independent from temporal needs and audiences. Burke wouldn’t take that sitting down. In the ensuing letter-battle with Tate, Burke responded with shock and sarcasm to the argument that literature doesn’t need audience: “What! Does this lad not try to make his verse appealing? Has he not even omitted things which he considered significant, but the significance of which he felt would not be apparent and moving to others?” (qtd. in George and Selzer 1930s 98). Even Tate has to be selective in his writing to address an audience, changing and omitting what might not be readily understood by his audience. Burke argues that since all artists must persuade the audience to interest and engagement, all art has an element of propaganda to it. Tate’s claims that art can be independent of audience and circumstance simply cannot exist in real life: all art must respond to and garner response from an audience. This response strengthens the art. In 1933, a young Burke suggested in “The Nature of Art Under Capitalism,” that because propagandistic art engages the world, it keeps art from being so removed from “merely using the values which arise out of a given social texture” as purely aesthetic art might (“Nature of Art” 677). Ironically, propaganda is the art that focuses on the ability of readers to change and to change the worlds around them, while “art for art’s sake” demonstrates a sleepy world where things exist without any relation to the readers or their world. Burke argues that “art for art’s sake” can lull a reader into a false sense of comfort and security, but propaganda engages the reader into something bigger and better, something that influences society much more widely. There must be a relationship between the reader, the writer, and the world beyond.Burke developed more fully the relationship between art and the forces of the outside world that he sets up in “The Nature of Art Under Capitalism” in Counter-Statement. Presumably, Tate had been offended by such phrases from the book as “we may look upon literature as an incipient form of action” when he criticized it so soundly (185). Certainly, Burke’s assertion that “the reader has certain categorical expectations” would rub the aesthete the wrong way (139). Art contains propagandistic characteristics (for example, highly considering the readers’ expectations) so it would seem that Burke suggests that art belongs in the arsenal of the propagandist seeking wide-scale social change. Despite his clear argument that literature can and does have a widely felt influence on society, Burke carefully backs away from any claim that would equate literature with “the pamphlet, the political tract, the soapbox oration,” which “deal with the specific issues of the day” (CS 189). Literature’s role was to subtly influence general attitudes, not to demand a specific action about a single incident. Good propagandistic literature shouldn’t tell readers how to vote on a union bill, but create sympathy and concern for the strikers as fellow human beings. By the time he writes Counter-Statement, Burke argues that art exists within the realm of propaganda, changing readers’ attitudes, not their direct actions, about general principles. Burke claims that the purpose of “literature of the imagination [is to] prepare the mind in a more general fashion” to eventually support “reforms in the particular” (189-90). It isn’t art’s job to directly support a current issue, but to change minds in a more subtle way. There is a fundamental difference between the way art and direct propaganda function. Burke’s correspondent William Carlos Williams might rightly be frustrated when Communists insisted that his poetry must be “[turned] into a force directed toward one end, Vote the Communist Ticket,” (qtd. George and Selzer 1930s 33-34). However, Burke’s assertion that art has propagandistic characteristics in no way implies that art must perform the same work as a political poster. In the unpublished manuscript Burke was developing about literature and politics, the rather catchy-titled Auscultation, Creation and Revision: the Rout of the Esthetes, or Literature Marxism and Beyond, Burke highlights the difference between poetry and propaganda, using the example of an ensuing storm. Here he suggests that “poetry (pure literature) and propaganda (applied literature) will both deal with it. … The poet will prepare us … by saying, ‘beware, a storm approacheth,’ while the pamphleteer will handle the matter by saying ‘Go thou, and buy rubbers” (qtd. George and Selzer 1930s 79). Literature and propaganda differ in their degree of specificity, but not in their worldview or attention to the reader. Sometimes all it takes for a work of literature to cross over into direct propaganda is to touch on the immediate specific issues of the day. Burke describes how these issues create propagandistic art in Auscultation, Creation and Revision, when he says that a “book becomes ‘propaganda’ simply by reason of the fact that the ideology upon which it relies for its effectiveness is close to a ‘burning issue’” (55). These “burning issues” are firmly rooted in the real life (for example, the need to buy galoshes), while in Counter-Statement, Burke reframes this relationship by saying that the poet both complements and counters the pamphleteer. Through the aesthetic we practice our general beliefs for eventual specific action, or in Burke’s words, “[in] preparing for imaginary ills, we also prepare for real ones” (112). In fact, Burke claims that even “the most fanciful, ‘unreal,’ romance may stimulate by implication the same attitudes toward our environment as a piece of withering satire attempts explicitly” (90). Poetry and propaganda may differ in their method and degree of specificity, but not in their rhetorical essence. Burke’s concept of propagandistic literature resists both the aesthetes’ pejorative and the Communists’ imperative; art and propaganda are intertwined because of their very nature. George and Selzer astutely gloss Burke’s position on propaganda as “there is no ‘categorical breach’ between ‘pure’ and ‘applied’ literature […] nor between ‘poetry’ and ‘propaganda’—each is persuasive and potentially revolutionary” (1930s 78). Although poets like Tate and political thinkers like Cowley may feel poetry and propaganda as striving against each other (as surely do many 21st century readers), Burke suggests that they are essentially similar, if directionally separate, like two sides of the same coin. How Ought Propagandistic Literature To Work? When Burke tells both the aesthetes and the Communists that art and propaganda are fundamentally similar, he doesn’t mean that all art progresses a noble project, and he doesn’t think that all propaganda is done artfully. If the poet is to create a piece that is “potentially revolutionary,” he or she must found it on worthy principles and stylistically organize it to create identification, not exclude or demean. Propagandistic art’s sense of morality is based, in part, on what it’s promoting. “Pure art is safest only when the underlying moral system is sound,” Burke writes as his sixth principle of “The Nature of Art Under Capitalism” (677). For Burke at this stage, the number one requirement for a sound “underlying moral system” is that it undermines capitalist paradigms. He goes on to proclaim that “the moral breach arising out of capitalist vitiation of the work-patterns calls for a propaganda art” (677). The communist cause is the first worthy principle that Burke envisions inspiring great propagandistic art, but he eventually generalizes his requirement beyond just a criticism of capitalism: what makes capitalism so nefarious, in part, is its pervasiveness and its wide-spread, unchallenged acceptance. In addition to any economic concerns Burke has about capitalism, he also hates the unthinking way that his society accepts it. In “Reading While You Run,” Burke complains, “Propaganda? Capitalist propaganda is so ingrained in our speech that it is as natural as breathing” (PLF 323). In this unexamined state, art must point out new perspectives to our commonly held beliefs. Art should encourage a break from the status quo, an upheaval of traditional thought instead of “devoutly plugging for the standard per se, without examining too closely the one-way profit system” (PLF 325). Art is especially prone to either aping commonly held perceptions or else shaking them up fundamentally. If “[pure] art tends to promote a state of acceptance,” as Burke’s fifth principle of “The Nature of Art Under Capitalism” argues, then propagandistic art provides an opportunity to challenge that paradigm (677). Art can merely support unexamined thought, but it’s most worthwhile when it challenges a society’s standards. In Counter-Statement, Burke puts this another way: “art may be of value purely through preventing a society from becoming too assertively, too hopelessly, itself “(105). It may take effort for artists to step back and analyze whether their art supports or undermines the status quo, but it is well worth the effort. Sometimes it takes massive, external influence for art to change from its pervasive biases. These environmental changes affect our cultural assumptions and provide space for art to challenge political, religious and aesthetic intolerance (Counter-Statement 89). During World War II, Burke saw the outbreak of war as an impetus to shift “the emphasis from ‘diversity in unity’ to ‘diversity in unity’” and away from capitalist assumptions through the art of leftist, American propagandists such as John Steinbeck (“War and Cultural Life” 404-5). But even though these huge external influences provide a chance for art to change society, it isn’t enough to have the noble cause—the way propaganda is used matters too. Burke claims that the style of propaganda greatly determines its morality. The best propaganda, as Elizabeth Weiser points out, will consist of “a proper use of style engaged with the masses rather than manipulating them, or as Burke put it, it used a tone that did not talk down to people or falsely build them up” (84). This style wouldn’t just demoralize enemies—it would also “remoralize” them (“War and Cultural” 404). Burke’s vision of propagandistic art brings people in, instead of shutting them out, and treats them as actual human beings instead of puppets to be manipulated. Its style would not only seek out “the lamentable rather than the picturesque” but also utilize the “strategy of idealization, or humanization” (PLF 224). In short, it would be a style that encouraged identification. Language and style represent more than just the topic—it reflects also the artist and the society within which the artist resides. In his article “The Calling of the Tune,” Burke explains that “the artist, as spokesman, does not merely represent his subject; nor does he merely represent himself; he also represents his readers […]. He speaks for an audience […] with whom he is identified” (PLF 229). With such an intimate and privileged relationship with the audience, the artist must be especially aware of the existing terms, concepts and beliefs of the audience and speak for them as well as for himself. For Burke, the propagandistic work art could do for Communism had less to do with Williams’ dour “Vote the Communist Ticket” and more to do with finding things in common, seeking inclusion, and creating what he would later describe as identification. If the Communist message was to be disseminated across the world, it had to be done in a way that would woo adherents, rather than alienate them. Burke expected all propaganda, literary and otherwise, to follow a doctrine of inclusion rather than exclusion. This expectation got in him trouble at the First American Writers’ Congress. As might be considered typical, the Communists were eager to depict the struggle of the Worker in strikes and unions; however, Burke saw this as poor propaganda because average Americans were adverse to the Worker as a phrase that was antithetical to their cultural history and personal identity (George and Selzer “What Happened”). Burke instead recommended a “propaganda by inclusion” that focused on America’s familiarity with the People as the cultural moniker for egalitarian aspirations, but some of the Communists were so set in their ways that they failed to see this “propaganda by inclusion” as propaganda at all. This attention to propaganda by inclusion eventually developed into his theory of identification (George and Selzer 1930s 26). Careful attention to the style and form of language could persuade an audience to change their minds and attitudes about a political position. Burke’s theory about which words Communist propaganda should employ, though forward, was not entirely foreign to the purposes of the Congress, as George and Selzer have pointed out (“What Happened”). Still, some members of the Congress took exception to Burke’s views, seeing them as not “Communist enough” because they accommodated bourgeois vocabulary. Vocabulary, though, was near to the heart of Burke’s developing identification theories. A single word could change minds. When life-long friend Malcolm Cowley criticized Burke for his aesthetic approach to Communist issues, Burke responded, “Granted: there are sewers to be cleaned. To get them cleaned by calling them alters is promotion work” (qtd. in Weiser 13). Careful attention to the existing words and attitudes of the audience creates propagandistic art that is more effective and more ethical. In the first half of the 20th century, aesthetes on the one hand and party activists on the other both tried to lionize either poetry or propaganda, creating a dichotomy of privilege. Burke resisted this binary and instead suggested the poetry and propaganda shared similar creations and similar effects in an audience. He articulated the way that those who sought to impact an audience’s attitudes might do so without being unethical or unwise. In this paper, I’ve focused on Burke’s requirements of the creator; however, not all who create propagandistic art are founding their pieces on “sound” moral principles, nor are all poets aware of their propagandistic biases. While Burke tries to advise his fellow poet-Communists in creating art that is both impactful and moral, he understands that it is absolutely necessary to develop the capacity to resist propaganda, and to be alert to instances where writers are less than moral. When art contains such propagandistic characteristics, it becomes even more vital that readers are aided by astute critical capacities. M. Elizabeth Weiser pointed out the connection between Burke’s article about art’s power, “Equipment for Living,” and his call to the critic, “Debunking,” when she summarized that, “Art is by its nature functioning already as a semi-propagandistic device; what criticism could do was to make conscious its propagandistic critique” (41). Like Burke’s criticism of pervasive capitalist propaganda, as careful readers we have to learn to recognize that art is intrinsically propagandistic. The reader assumes that art is innocent because it is art; instead, the reader must be aware also of art’s native element of propaganda. *Mary Hedengren can be reached via email at Mary.hedengren@gmail.com. Burke, Kenneth. Counter-Statement. Berkeley: U California P, 1968. Print. ---. “The Nature of Art Under Capitalism.” The Nation 137.3571 (1933): 675-77. Print. ---. The Philosophy of Literary Form: Studies in Symbolic Action. 3rd ed. Berkeley: U California P, 1973. Print. ---. "War and Cultural Life." The American Journal of Sociology 48 (1942): 404-410. JSTOR. Brigham Young University, Provo. Web. 8 Apr. 2010. George, Ann and Jack Selzer. 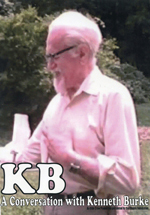 Kenneth Burke in the 1930s. Columbia SC: U South Carolina P, 2007. Print. ---. “What Happened at the First American Writers’ Congress? Kenneth Burke’s ‘Revolutionary Symbolism of America.’” Rhetorical Society Quarterly 33.2 (2003): 47-66. JSTOR. Brigham Young University, Provo. Web. 24 Mar. 2010. Weiser, M. Elizabeth. Burke, War, Words: Rhetoricizing Dramatism. Columbia: U South Carolina P, 2008. Print. "Burke on Propaganda in Art" by Mary Hedengren is licensed under a Creative Commons Attribution-No Derivative Works 3.0. Based on a work at www.kbjournal.org.